Gray hair can be beautiful. It doesn't have to label you as a frump, or behind the times. 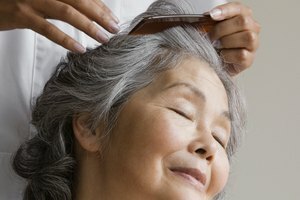 As your hair goes gray, however, it will go through changes, and you'll need to keep your natural coloring in mind, along with the new needs of your hair. 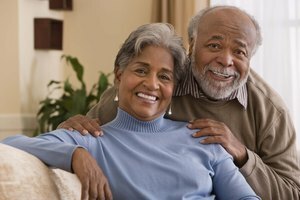 Gray hair tends to be coarser and can turn yellow with too much heat. If you're ready for an abrupt change, simply grow out the dyed hair with regular trims. To be more subtle, use lighter colors to make a gradual transition. 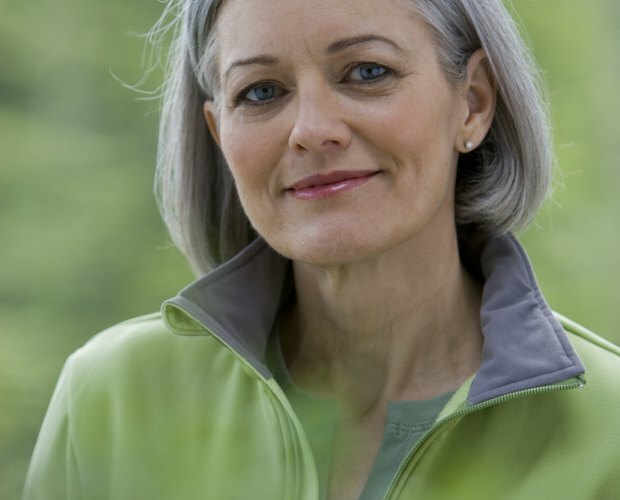 Do not try to duplicate your natural color -- skin changes as you age, and the resulting color will seem too dark. Figure out your natural coloring. Your hair will look more natural if you choose colors that are consistent with your skin coloring. If you have dark hair, your gray will be more visible but can look quite stunning. 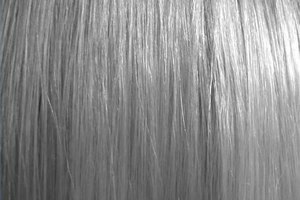 Some of the lighter blonds may be able to simply grow out the dyed hair, as the contrast will be much more subtle. Ask a stylist to help you plan your transition to gray hair. Dark hair might do well with semi-permanent color in a shade lighter than the natural hair color, then going lighter as more gray grows in, using frosting and color glosses for high- and lowlights. If you're interested in fun changes, you can go for a series of successively lighter colors, experimenting with shades until you get to a light, cool blonde, then you can grow that out. Watch out for colors that don't cover gray if you're handling the transition yourself. There are specially formulated colors for covering gray. Alternatively, you can use colors that don't cover gray to let it shine through. You can use home colors in shades lighter than your natural color, foils to add streaks of color and color glosses to add dimension to your hair color while slightly camouflaging the gray. Visit a reputable beauty supply shop for tips and excellent products. 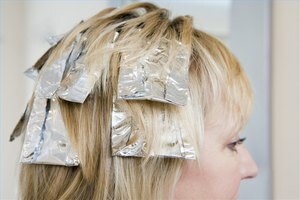 If you are coloring only part of your hair, use foils or a cap. If it's in the way, it will get colored. That goes for clothes and bath towels too -- wear something and use dark bath towels, or ones just for hair.